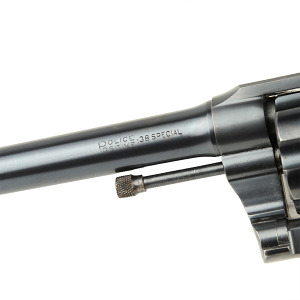 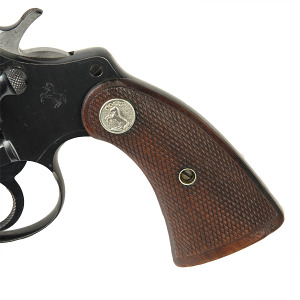 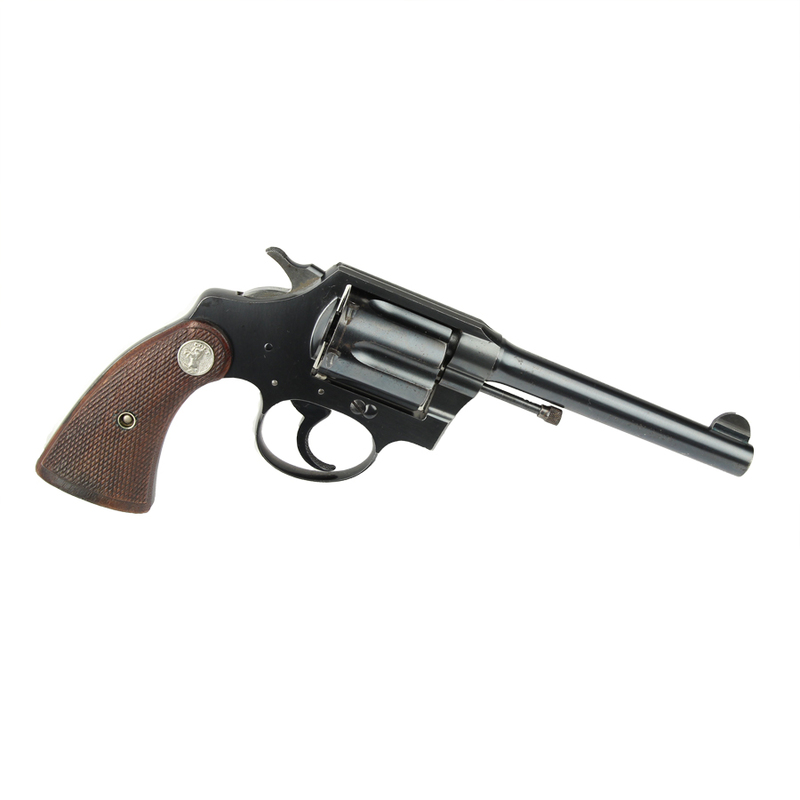 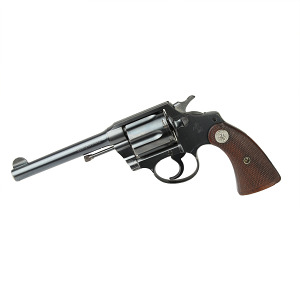 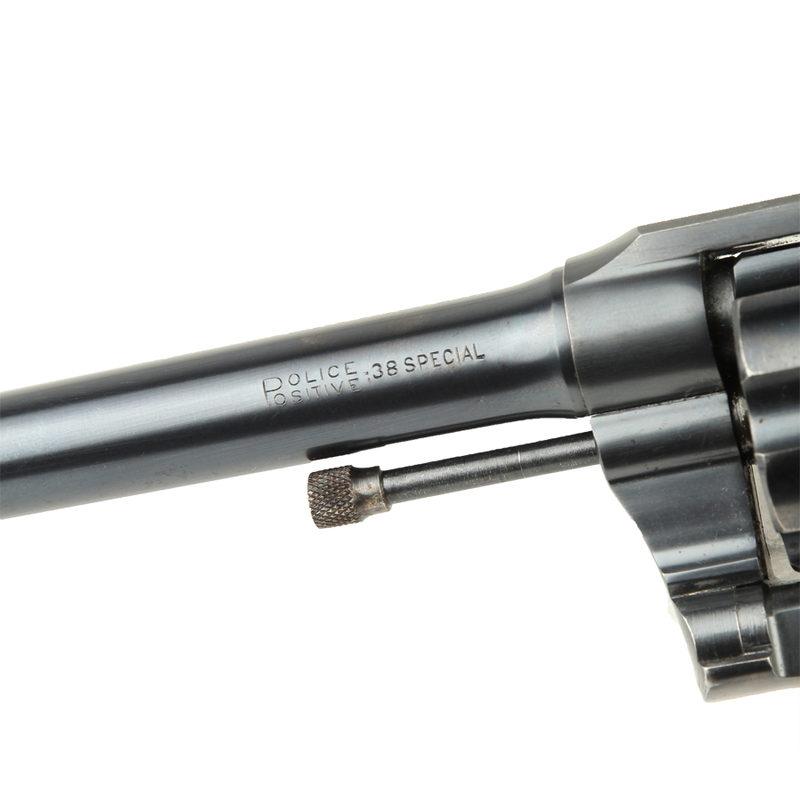 Colt Police Positive Special (Second Issue) 5” barrel, checkered walnut grips, and serrated top strap. Serial #405456 circa 1932 with the last patent date of 1926 on top of barrel. Gun is in beautiful condition with very minor finish issues.